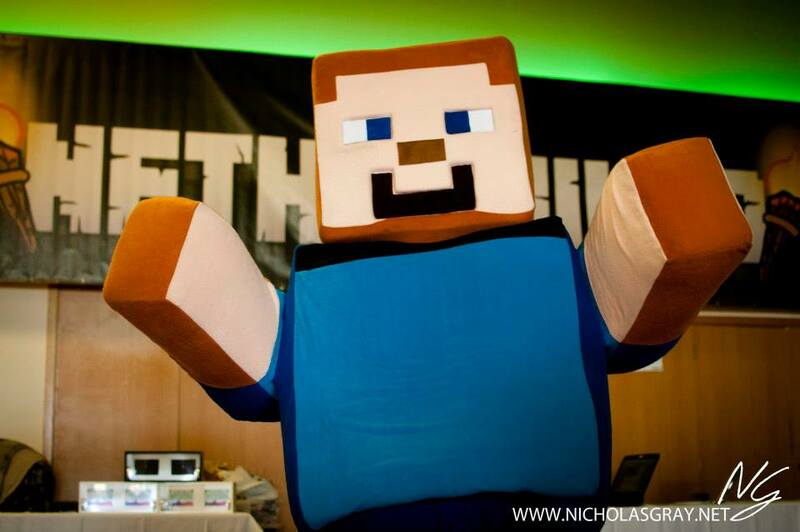 You may have noticed not so long ago the world of Minecraft took most of our little people into a world of pixel looking objects that look like they came from something from the 80's. I often lose my mini human to the world of Minecraft and get asked questions about nether dragons, portals all sorts of things I'm totally clueless about, luckily Andy is quite the wizz at it and can assist her when needed, she has recently how ever taken to youtube (parental lock is on) to find out information and inspiration on new builds she can do within the game. 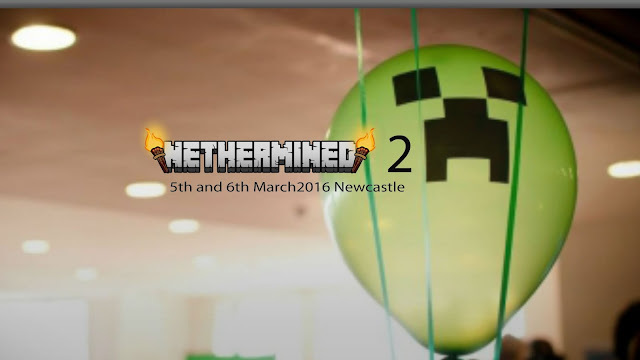 Nethermined is a two day event taking place at Northumbria University on 5th and 6th March at £15 a ticket per day and is perfect for any Minecraft fan, with a large selection of youtubers attending just that alone would have made Issy's day she often comes out with fancy youtube usernames and has been known to ask me if I can leave a comment on videos with her say on things they've asked in videos, I know just getting a reply would have made her day but to get up close and actually be able to speak to one? That would be the dream for my fast growing 8 year old who would love to one day have a youtube channel of her own. Sadly we are unable to attend the event as we are to far away but if it was to ever come to London without a doubt I'd be snapping up a ticket as soon as I could, Minecraft is one of the only things Issy shows a real passion for everything else comes and goes like Zelfs for instance she LOVED them for all of about a week, Minecraft however has stuck and seems to show no signs of going anywhere soon, if she had her way she would play or watch youtube videos on it all day, only ever leaving her computer for food requests and going to the toilet if I'd let her get away with it. The creations she comes out with on the game amaze me I gave the game ago once and I totally sucked at it! This event would have been amazing for not only Issy but for me too, It would have been great to have a little more of an understanding of the game she enjoys so much because not only is the event for fans but for parents too, there will be 3 Minecraft EDU educators who will be giving talks about Mincraft and it's educational value, as well as the Parents Zone where parents can ask questions and learn to play Minecraft. 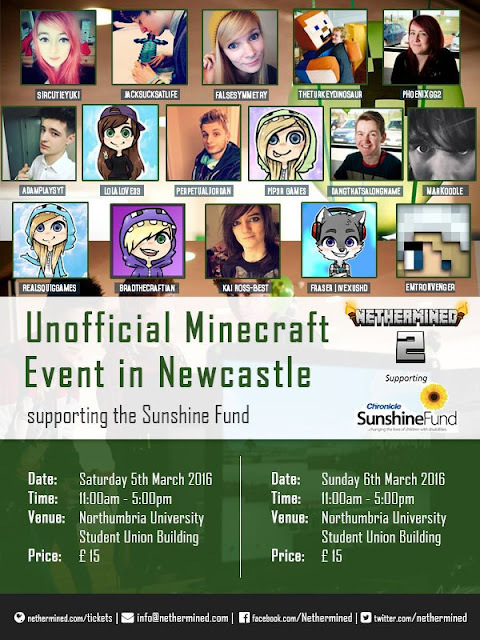 Along with the Youtubers too there will be live gaming and youtuber panels, 4 retro gaming machines, 2 Oculus Rifts, an art zone, face painters, Minecraft and geeky merchandise so there really is something for everyone!